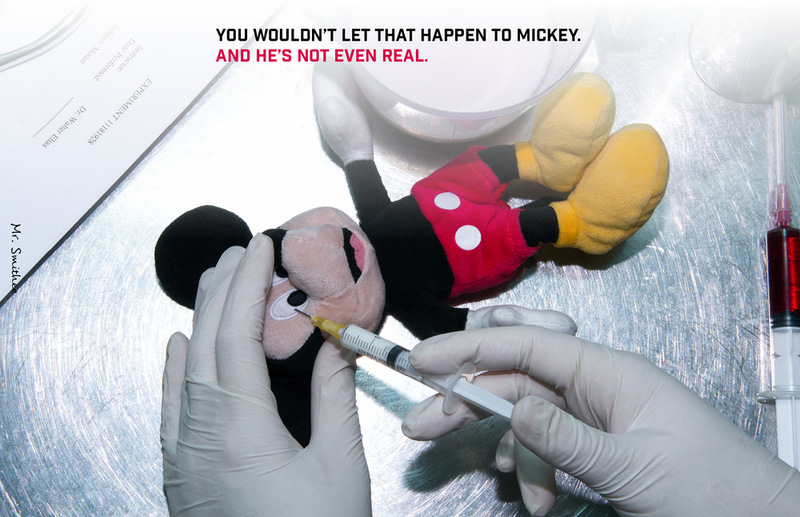 MR. SMITHEE | Animal Testing: "EXPERIMENT 11181928"
EXPERIMENT 11181928 was created under the slogan "You Wouldn't Let That Happen To Mickey" to raise awareness about animal testing. It was designed and executed under a week. The number in the work's title (11181928) is actually the date when Mickey Mouse first appeared on screen with sound, on November 18, 1928 (11-18-1928). The experiment sheet on the table mention the instructor's name: "Dr. Walter Elias". 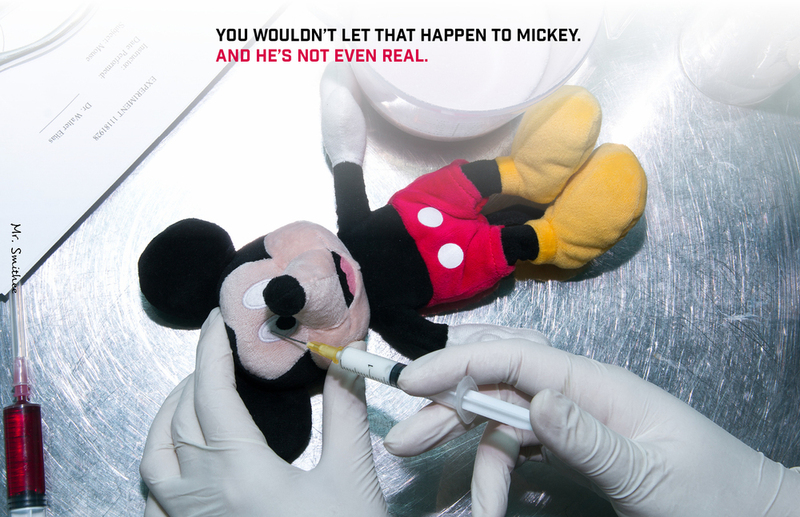 Or as you may know him: Walt Disney, the creator of Mickey Mouse and co-founder of Disney.